Sue (Jackson) Long has a background in oil painting and architectural design. Since 1995, she has devoted most of her time to oil painting. 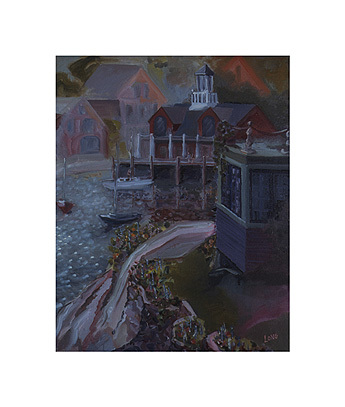 Long resides in Rockport, Massachusetts, and her paintings reflect the New England vernacular. Her subjects include buildings, landscapes. All contents Copyright © 1995 - 2004 Jo-Ann E. Castano . All Rights Reserved.